With deep sadness, we share news of the death on Sunday of our friend and esteemed alumnus D’Army Bailey. Judge, civil rights activist — even actor — D’Army Bailey (’65/L.L.D. ’10/P ’00) was honored with the Distinguished Alumni Award at Reunion 2015, although he was not able to attend. 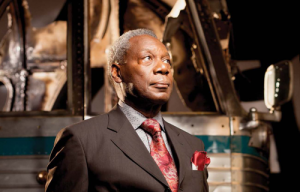 Bailey recounted his personal journey in the book “The Education of a Black Radical.” In a 2010 Clark alumni magazine feature, A Radical Life, Bailey spoke about his life and accomplishments — which included founding the National Civil Rights Museum. We offer our heartfelt condolences to his family and friends.